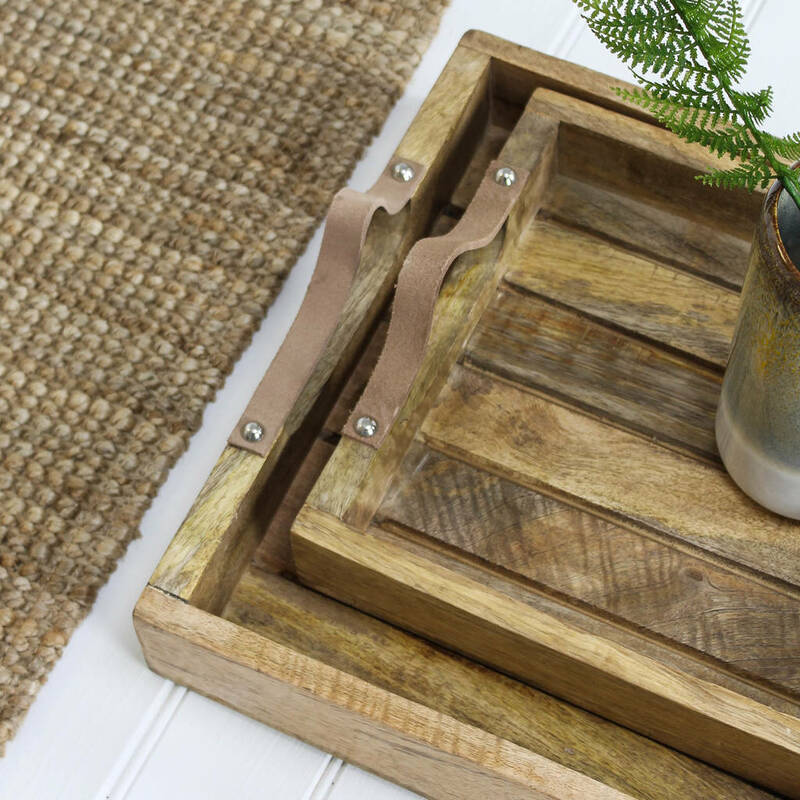 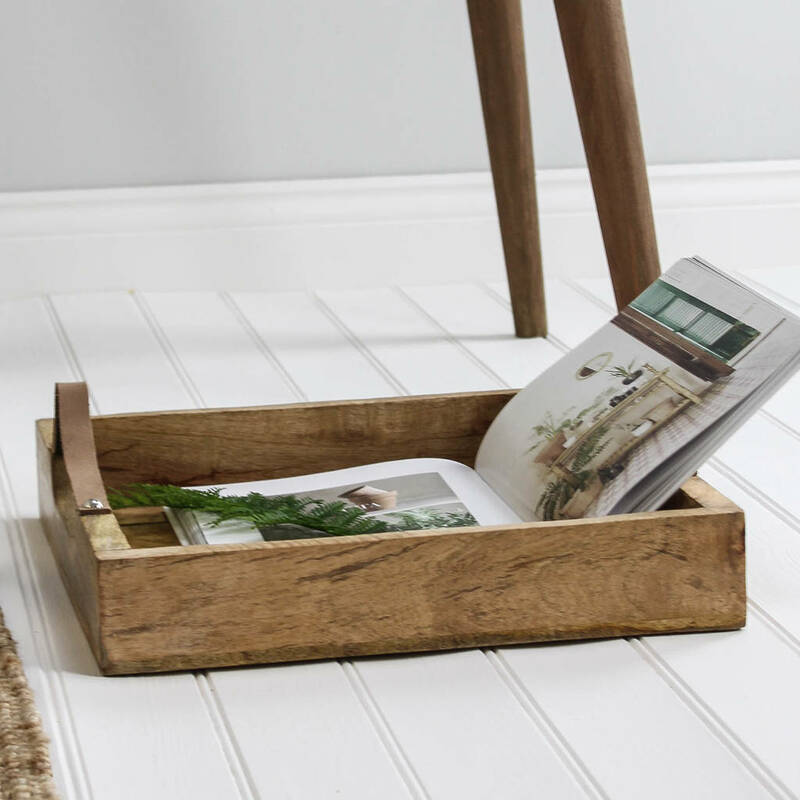 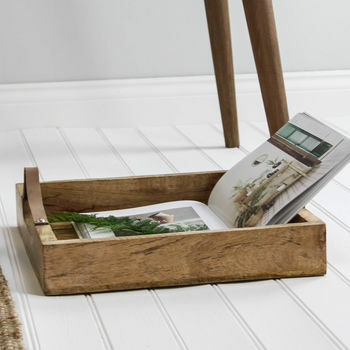 These mango wood display trays are great for on a coffee table to store and display your magazines or decorative pieces and trinkets. 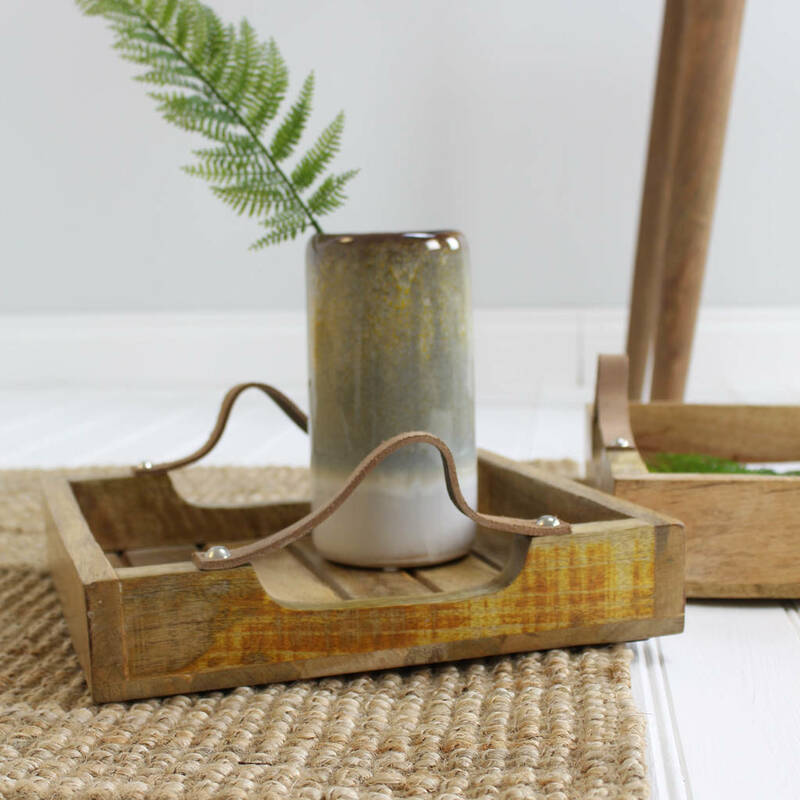 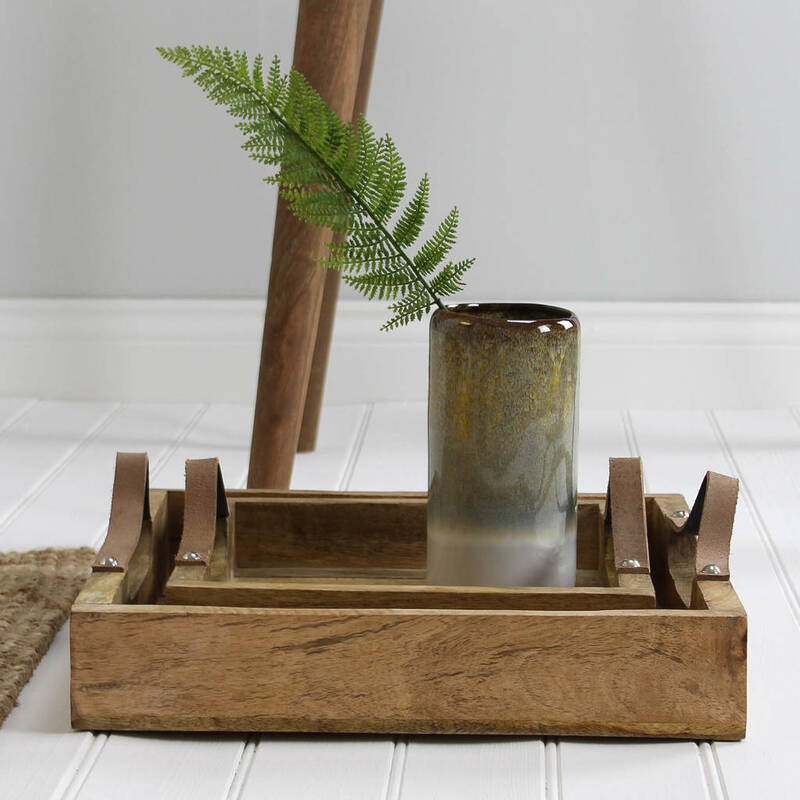 They are made from a sturdy weighted mango wood base and frame with added leather handles. 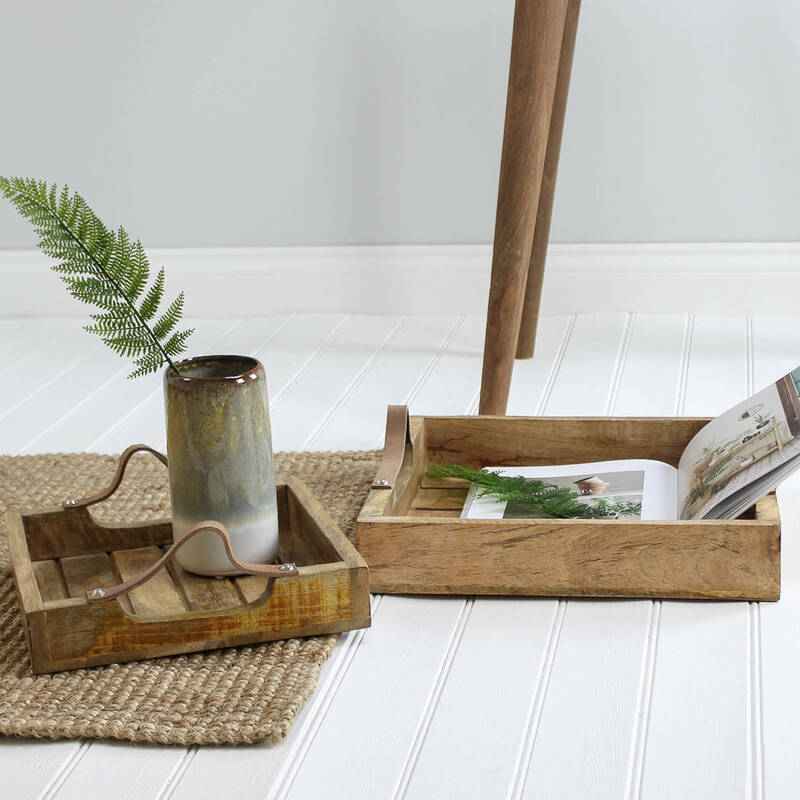 Mango is a sustainable wood that has beautiful characteristics within the wood giving each piece a lovely tactile look and feel. 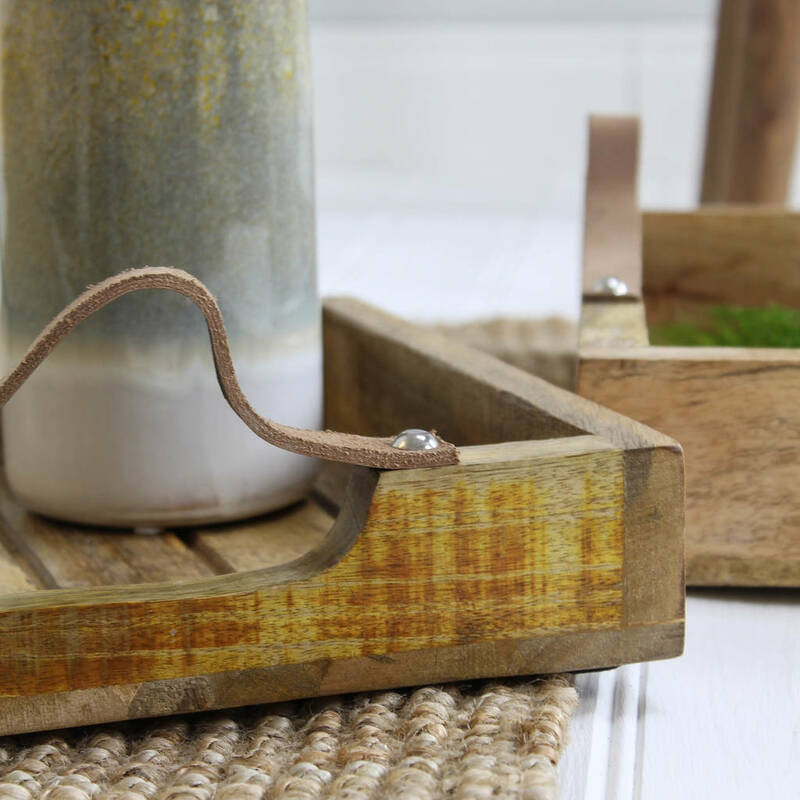 Due to the natural material of mango wood the colouring and markings on the wood can vary slightly piece to piece.